Richardson: The only type of vehicle that fits this bill is a minivan. There’s enough space for a scooter in the back, and a smooth and quiet ride. There are a number of customized vehicles on the market for wheelchair users, but it doesn’t sound as if Michel needs one of those. Lightstone: A minivan is definitely the go-to vehicle here, and there are a number of good ones currently on the market. 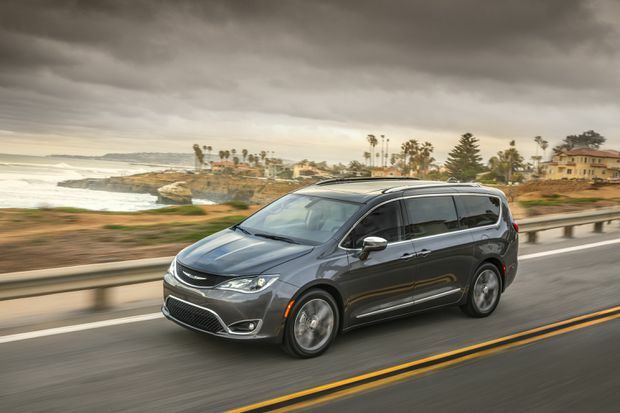 The latest is the Chrysler Pacifica, but there are a few older models that offer all Mary listed as needs, and they all fall into roughly the same price range: low- to mid-$30,000 for a basic model. Richardson: I don’t think Mary wants a basic model, especially if she’s looking for comfortable seats in the second row. I think what she really wants is the kind of lounge seating back there that’s offered in the Toyota Sienna and Kia Sedona. They have feet rests and fully recline, like the La-Z-Boy in my family room. And they cost $50,000 or so. Lightstone: That’s true, basic models won’t have those comfortable captain’s chairs in the second row, and Mary did mention there was no price limit. But now, what about a smooth, noise-free ride? Most minivans are pretty quiet inside since they don’t have massive, loud engines and are well sound-proofed – maybe to keep the kids’ screams contained? Richardson: Any minivan is a lot smoother and quieter than most vehicles, though, and they can be the most comfortable vehicles on the planet. At least one of our Governors-General used to always travel in a minivan in his convoy because it was spacious and anonymous. Lightstone: So, basically any minivan on the market at the moment would suit her needs. It will come down to personal preference on exterior design and interior bits. But how does she get the scooter in the back? I can’t imagine that’s an easy thing to do on your own. Richardson: That’s why you have scooter lifts – little cranes that fit in the back and hoist the scooter into place in the luggage area. One of the biggest makers is Bruno Independent Living Aids, based in Wisconsin. They make bolt-on accessories that install (and uninstall) in a day and probably cost $4,000 to $5,000 installed. And there are no taxes on them. Lightstone: You seem to know a lot about them. Richardson: Actually, I called up Shelley Pattenden, a consultant with Silver Cross Automotive, and asked her. She said Silver Cross will sell Mary and Michel a van with the crane installed, or they’ll install it in their existing van – whatever is easiest for them. And they have facilities across Canada. Lightstone: That seems like a fantastic solution for those who need a scooter. But does this mean Mary and Michel are limited to the type of vehicle they can get? Do they need a minivan, in fact, and do they have to buy a specific make/model? Richardson: They’re not so limited for installing a scooter crane – they can have a pickup truck or a large enough SUV. But the minivan will be by far the most comfortable. Richardson: Well, not every minivan can be easily retrofitted for wheelchair accessibility. If it’s possible that Michel might need a wheelchair during the life of the van, they should be thinking about this now. 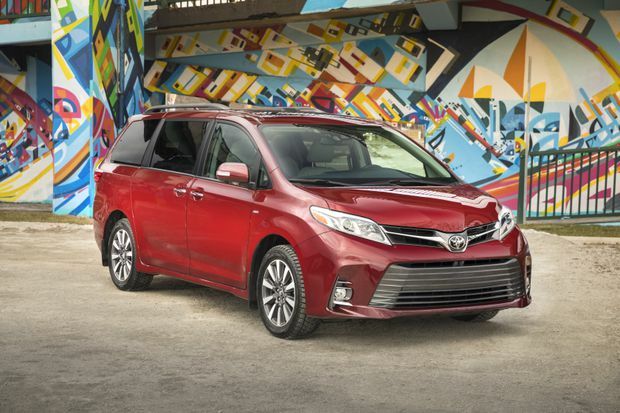 Toyota has a “Mobility Program” that installs all kinds of factory-approved accessibility equipment in its Sienna, and both the Dodge Grand Caravan and Chrysler Pacifica can also be modified to lower the floors and provide ramps or lifts. Lightstone: What about the Kia Sedona or Honda Odyssey? They’re pretty nice vans, too. Richardson: The Sedona cannot have its floor safely lowered, apparently, and nor can the Pacifica Hybrid, which keeps its batteries under there. And the 2018 Odyssey has not yet been crash tested, so it can’t yet be modified for accessibility. 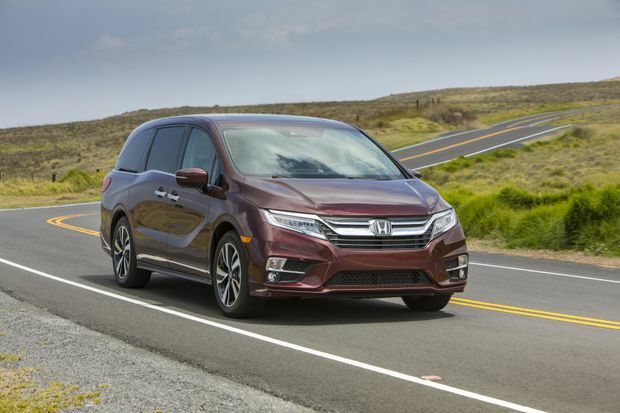 Even then, Pattenden said the Odyssey is expensive to alter – maybe $40,000, compared with $15,000 or so for the Sienna or Pacifica or Grand Caravan. Lightstone: Wait, that would be an extra $40,000 to retrofit the Odyssey? Richardson: Yes. Some insurance policies will cover this sort of thing, but that’s a different matter entirely. Lightstone: So it sounds like the Toyota Sienna would be the top choice, with the lounge seating, if Mary and Michel want to plan for the possibility of a wheelchair. Richardson: And then the Pacifica, since there’s no budget, and then the Grand Caravan. But if they’re not concerned for the wheelchair, I’d recommend the Honda Odyssey over the Dodge Grand Caravan – it’s a nicer, and more expensive, van all around.